In June 2016 we published the paper “A new type of solar-system research recovered from Ordovician limestone” in Nature Communications. This led to an unexpected reaction: Almost every leading daily news paper around the world highlighted the discovery of the world’s first “extinct” meteorite. According to altmetrics value the article is now ranked as number 181 of the 271,861 tracked articles of a similar age in all journals (Sept. 18, 2017). Among the 759 tracked articles of a similar age published in Nature Communications it is ranked as number 7. The media frenzy started after BBC wrote about our discovery. Then Nature.com highlighted our discovery at their prime space slot for a couple of days. Discover Magazine ranked our finding among the 100 most important during 2016. You can find the article in Nature Communications here. 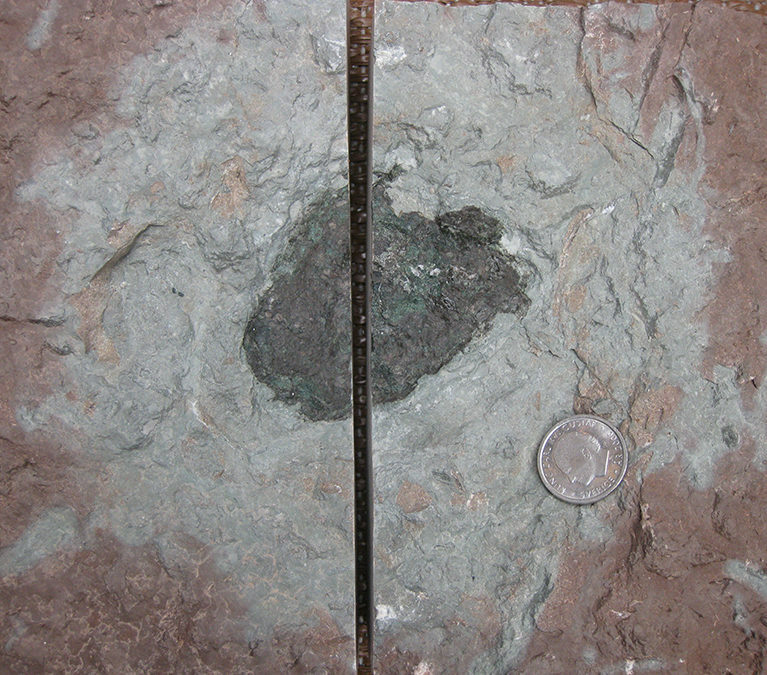 The fossil meteorite Österplana 065 from Ordovician limestone at Kinnekulle. The chromium- and oxygen-isotopic composition of relict spinel grains from the meteorite show that it is a kind of meteorite that is not known among the documented 50,000 meteorites that have fallen on Earth in recent times. Probably the parent-body of Österplana 065 has been consumed in collisions in space, thus there will never fall such a meteorite on Earth again. Hence it is an “extinct” type of meteorite. Steven M. Stanley from the University of Hawaii visited the Astrogeobiology Laboratory as a guest scientist between July 24 and August 4, 2017. 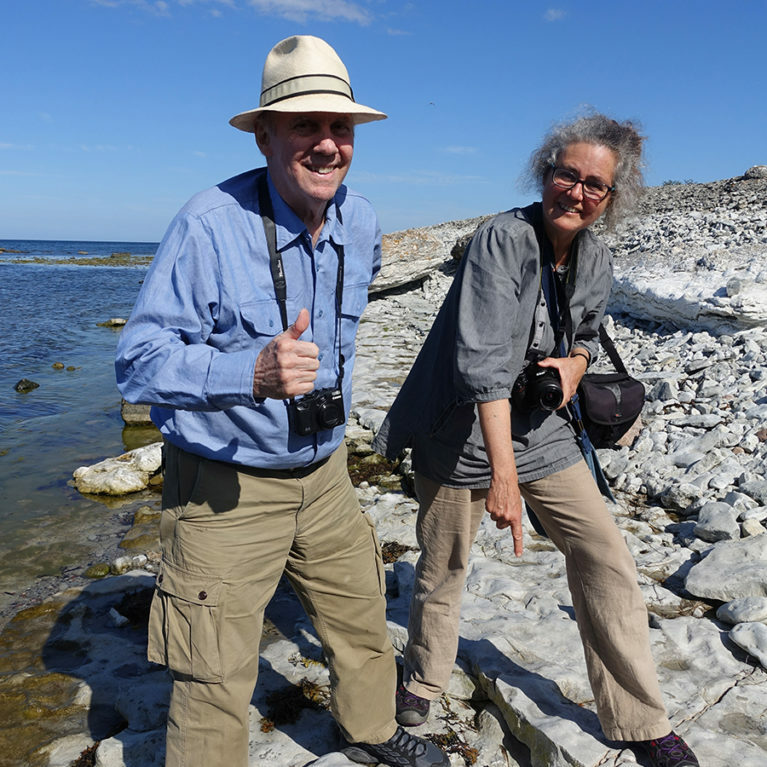 The visit included field work at localities in Denmark, Gotland, and Kinnekulle. The text books on earth system history by Steven have been an important source of inspiration for the research that we now pursue at the Astrogeobiology Laboratory. On August 4, Steven gave a much appreciated informal seminar for a small, invited group. We received the perhaps final answer on a question that millions of people have asked: Why does T-rex have so short arms? 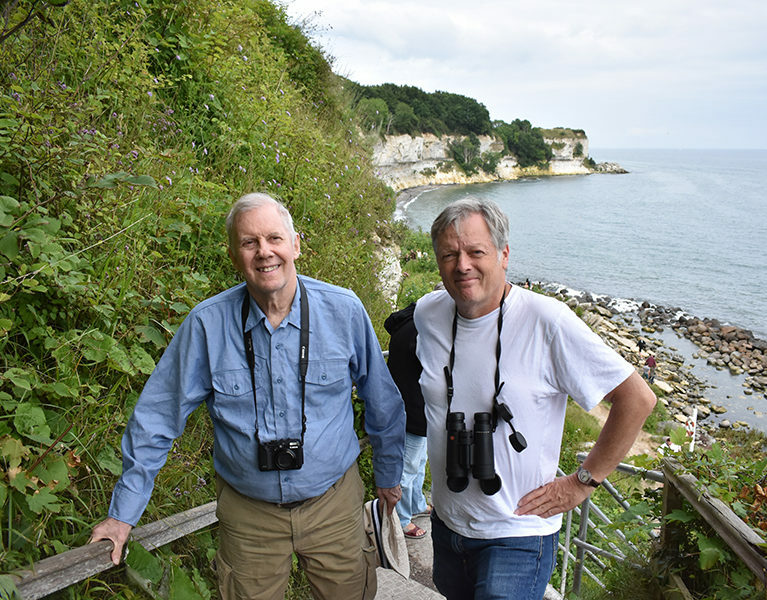 Visiting Stevns Klint with Steven was a monumental experience. 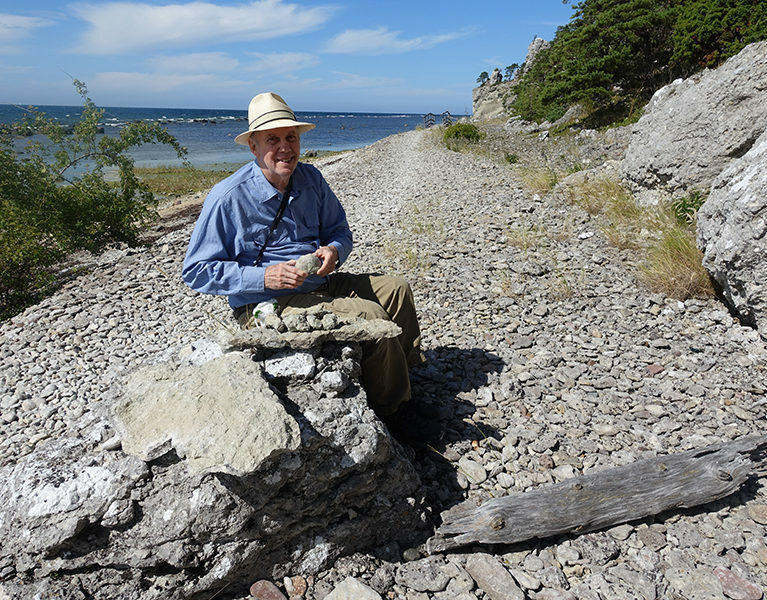 Steven examines early Silurian fossils found in the sea cliffs of Gotland (Ireviken).